Join our platform to share the unused processing power on your smart device. The more you share the more rewards you’ll reap. Quube is a digital platform that consolidates a user’s IOT devices into one mesh distributed network. 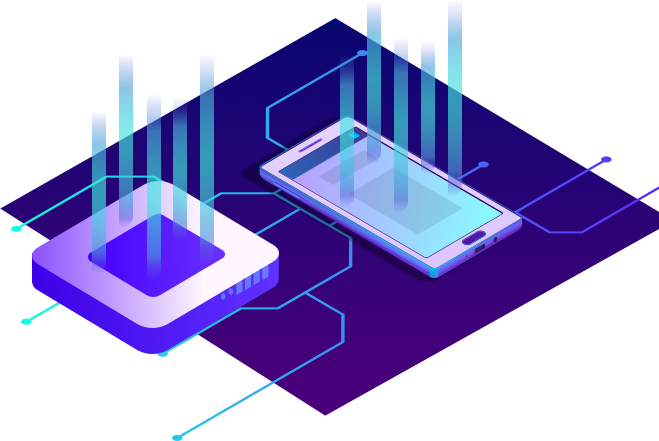 Quube autonomously connects with users and devices to create a scalable, secure point to point marketplace for data and bandwidth. Your smart TVs and devices sit unused for most of the day, leaving tons of micro-processing power completely unutilized. 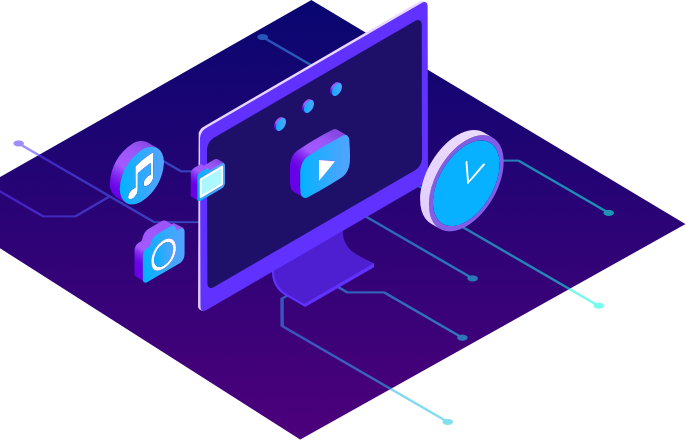 We see a future where you can share this unused computing power via Quube in order to speed up the delivery of all cloud-based content, and use the platform’s built-in encrypted chat to securely connect with your family and friends! In return you’ll earn rewards for movies, gift cards and more. QuuChat™ is the proprietary instant messaging app on the Quube platform. A secure and encrypted point to point communication without servers nor filters. This means your device, personal information, location and all other information is completely protected from hackers, digital identity theft, and other digital attacks. You can even use Quube’s secure network to chat with your friends and family. WHY DOES IT HELP TO SHARE MY SMART HOME’S UNUSED SPACE? This creates a huge burden for a traditional network, or extensive costs to provide adequate bandwidth. On the alternative, our scalable Blockchain platform can provide over 1 million transactions per second. Ever spent time waiting for your movie to load, dealt with blurry images, buffering, or server outages outside of your control that left you unable to access the content you want? Join Quube to help build the future digital sharing economy and earn rewards just by sharing your device’s unused processing power. Help us reach our goal of signing up 1,000 initial participants for the Quube Beta Trial. There’s none. There’s absolutely no cost and no long-term commitments. You just need to have a solid Wi-Fi connection through an Android OS smart TV or mobile device.